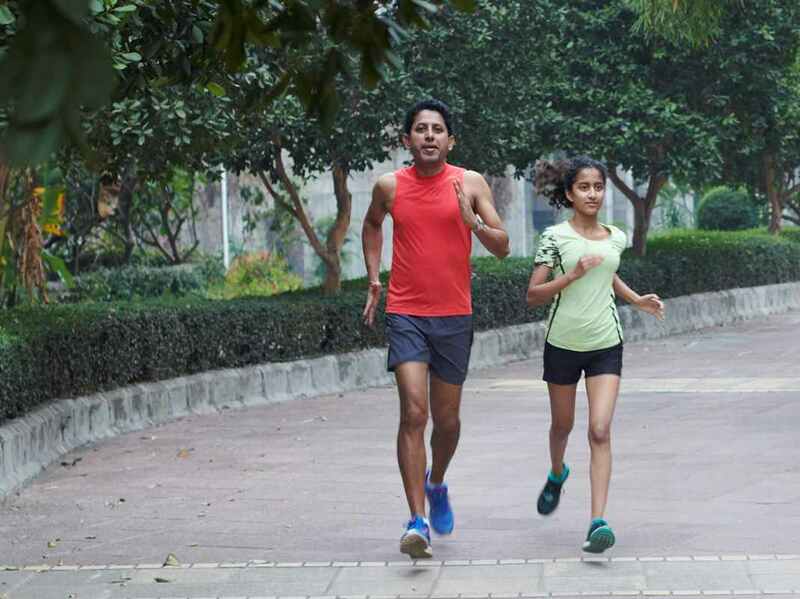 Keen runner Rajiv Mishra, Managing Director of CLP India, shares his passion for the sport with his daughter. It’s four in the morning in Mumbai. The alarm clock goes off in the bedroom of Rajiv Mishra, Managing Director of CLP India. He wakes up afresh to get ready for his running routine – his passion. After a health shock in 2011, Rajiv now gets up at this wee hour six days a week to train before the city gets active with the hustle and bustle from commuters’ traffic. “You get more out of a day if you start your day early, even if you just read the papers or have a chat with your friends and family. You have more options. If you wake up late, you are in a catch-up mode,” Rajiv says. This philosophy of a prepared mind comes from Rajiv’s training for marathons over the years. “You can’t force yourself to get up at 4am; you should do so because you want to do this. Long distance running is not something we humans can do naturally and you need to work for that. It takes me 16 weeks to prepare for a full marathon,” he says. “You won’t be surprised to see me running around the Paguthan Power Station – there is a well-made track there that is good for the knees – or the water tank at the Jhajjar plant. And some colleagues noticed that and have started to run too. It is better than telling them to work out verbally – and I can exchange a few comments with them on the merits of the latest running shoes!” Rajiv says. To him, this is what the CLP value of humanity is all about. “Those of us who are in leading positions have the responsibility to be humble and treat everyone with respect. A particular quote has always stayed with me – ‘you are free to disagree with me as long as you are not disagreeable’. It is only natural to have different opinions and perspectives, and it is down to us as leaders to listen to our team.” Rajiv says. Steering a company with a foreign root, Rajiv is expected to have a global vision – not only at work but also in his private life. In this regard, running marathons in different cities with his family is a good way for Rajiv to gain global exposure. Now 51, Rajiv and his wife choose to run a new marathon in a new city for their family vacations. They have left footprints in Bangkok, Amsterdam, Hong Kong and other cities. "But now with our kids growing up, it's been more complicated," Rajiv shares, "Our son has left to study in the US a year and a half ago, and now we have to do a retour as for where we go for holidays! So I have to juggle between my schedule and his...when kids grow up, this is what happens." The world for a business leader with a worldwide vision may be boundless, but for Rajiv, his family is as great as the whole world out there. To learn more about CLP’s connection with society, please check out the latest issue of CLP.CONNECT.